Nissan spent most of last week teasing images of the 2015 Juke in a frustrating social media campaign. 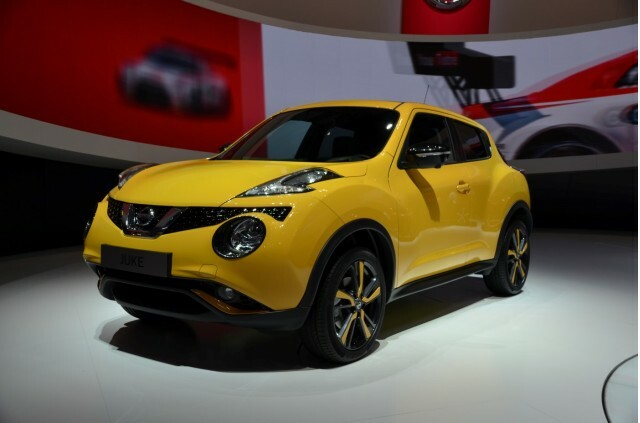 All we really wanted to know was whether the Juke had lost its characterful--if divisive--styling. The good news (or bad news, depending on how much you like the Juke) is that it's lost none of its unique looks. If anything, the subtle tweaks enacted for this mid-life facelift have only enhanced the little crossover. 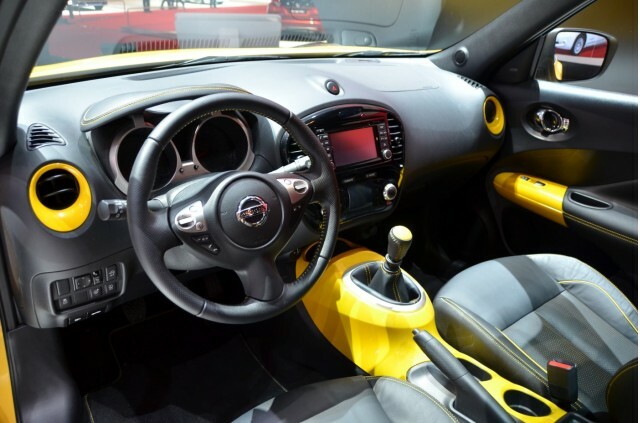 By and large, it's the same Juke we're already familiar with. Most of the metalwork has remained the same, save for a few changes around the headlight area. The "ripping through flesh" design of the high-level headlights has now incorporated a 370Z-style slash, which in some ways balances the Juke's front end styling a little better. These lights also incorporate LED daytime running lamps and the low-level headlamps feature xenon lighting. Rear lights have stayed the same shape, but a new design freshens up the rear-end styling. There's also a new, more aggressive rear bumper design. The rather vibrant shade you see here is one of the new colors available, Sunlight Yellow metallic. Two other colors, Ink Blue metallic and solid red have also joined the range. Body-color inserts make an appearance on a new 18-inch alloy wheel design. Nissan has jumped on the personalization bandwagon too, with various options to apply contrasting colors to the mirror caps, side sills, roof spoiler and door handles. Completing the exterior changes, an opening glass roof joins the options list. Inside there's as much color as ever, though we'd probably tone the personalization down a little if opting for that Sunlight Yellow paintwork--the interior in the car we photographed is more like something you'd see at SEMA than Geneva. Better is the extra 40 percent of trunk space Nissan has liberated, curing one of the Juke's old ills. A 1.2 DiG-T turbocharged gasoline engine has joined the range in Europe, though it's less clear whether we'll see this powerplant in the States--it replaced the naturally-aspirated 1.6-liter unit offered in Europe. The existing DiG-T 1.6 has been cleaned up though, with better economy and lower emissions--lower friction, a higher compression ratio and cooled Exhaust Gas Recirculation should all add up to better figures than the 2014 car's 27 mpg city, 32 highway and 29 combined. There's no word yet on when the 2015 car will hit U.S. soil--so stay tuned for more info. In the meantime, you can discover more Geneva launches on our dedicated Geneva Motor Show page.